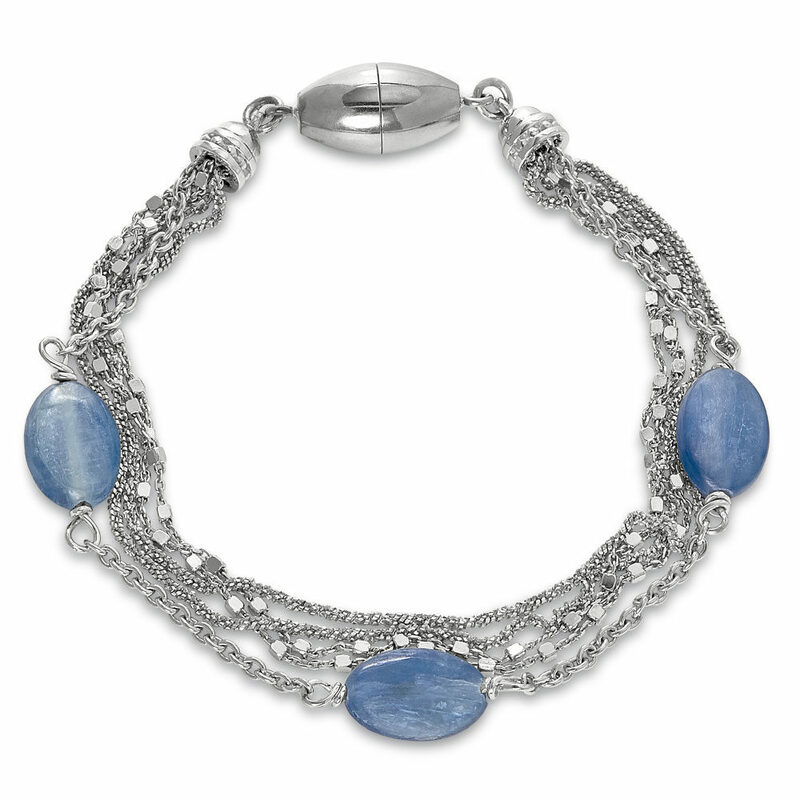 Three types of silver strands with blue Kyanite. A magnetic clasp for ease and comfort. Kyanite is a blue stone with streaks of white, a relative of Andalusite.